Basically, the Japanese version of Island in the Sea of Time. The entire country still do business as usual? There is no consequence from being cut off from the rest of the modern world? Citizens don't panic? This is doomsday level event, people would want answers, solutions, there are people who will want to come back to the old world. They would not be like "oh well, I guess we live in this world now". WHY WOULD YOU LEAK YOUR MILITARY SECRETS EVERYWHERE??? It's a new world and all of your military technologies or even civilian technologies should be kept extremely secretive. You don't invite the ambassadors to an airshow for god's sake. And why would there be airshow, the country should be freaking out right now instead of doing meaningless entertainments, and surely top priority is to save fuel now that you can't import any at least for a few years. Whatever happened to the tourists who happened to be in Japan the instance of world transfer? What about Japanese people who were abroad? What about fishermen at sea? Airplanes? Do they get transferred with the island by some weird mechanism and all the foreigners are left stranded in the sea or do they just accept their fate now? one thing weird, the enemy is soo arrogant too the point sometimes I'm mistaken it as CN novels. This looks really interesting so far, Im looking forward to more chapters, expectation really does wonders for the imagination, so far Im not disappointed, Imagine an entire country (modern Japan) being transported to another world of magic and fantastical creatures, the possibilities are endless! Its too early to give a proper review, but this is in anticipation of something that could be awesome if done well, a whole country worth of possibilities, you arent limited by what you can do alone, not with so many people with talents of their own... more>> at your disposal, culturally it will be very interesting, imagine if it were America, Russia, China etc, I can think of so much that could happen with those countries involved! Japan use to be an imperialistic nation, they would invade other nations, were very warlike, now that they are no longer in our world, the powers that keep them in check dont exist there, could it be possible that they might revert back to what they were? Or is there way of life now so ingrained that they have no desire to do that anymore, I wouldnt be surprised at either outcome. This is what this story means to me, possibilities, what route will Japan take in a world not their own. EDIT: This review was written for the WN version, at a point where the WN and LN series were sharing the same entry, but the WN version (which has an active ongoing translation) has since been split into a separate page. I feel that it is a bit too early for a review but I would give mine anyway. If you liked Gate then I think that you will enjoy this too. The premise is really similar and the only difference is that this time, the entire Japanese archipelago got transported to another world. As usual, common sense breaking ensues. As of now, there's still no clear protagonist to the story but reading the different point of views of both the locals and the Japanese gives an enjoyable feel. The only problem is... more>> the very few chapters! This is a really interesting story and the best I have read in a long time. I really love the concept, the fact that the POV's are from the natives of the New World and not from those who were transported. The writing is solid and very interesting. The give and take mechanism, the common sense involved, the clashing of cultures and intermingling of various values is very interesting. It has infinite possibilities. I am really interesting in reading more! 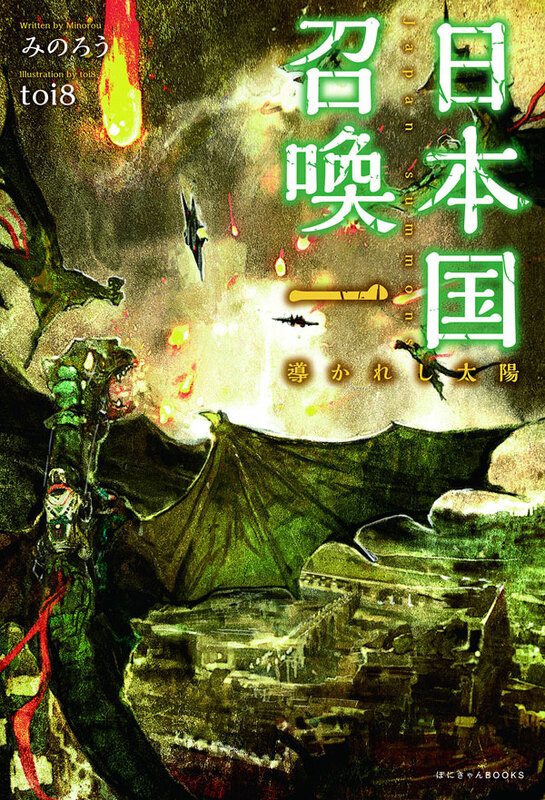 Well the best way to describe this novel is that it's pretty similar to Gate Jietai, but with a twist since the povs that you read/see here are mostly on the native perspective. So if you guys like the Gate Jietai why don't you try reading this one too?